Marketcircle, makers of a software called Daylite, interview Sean Z. Becker about how we use their product and how it helps Sean Z. Becker Real Estate do business the Oregon Way. This was published July 26th, 2013. 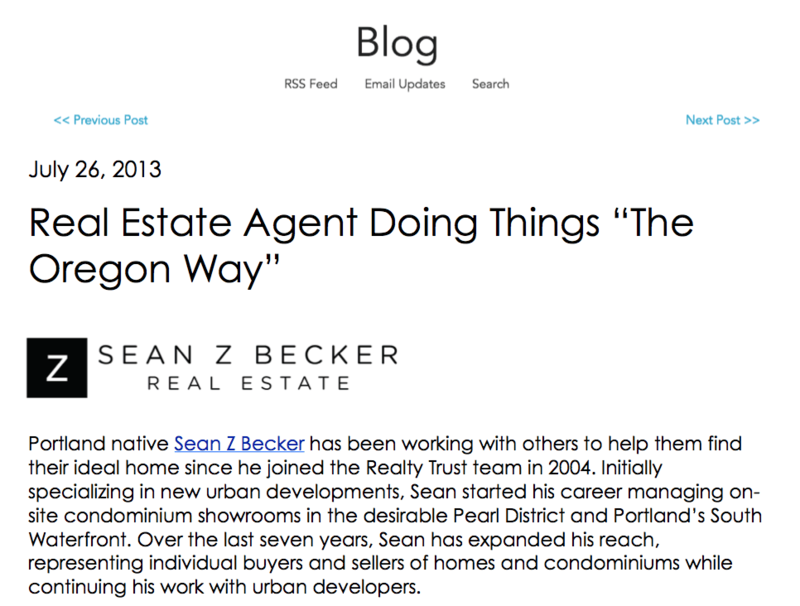 Read “Real estate agent doing things the Oregon way” here.